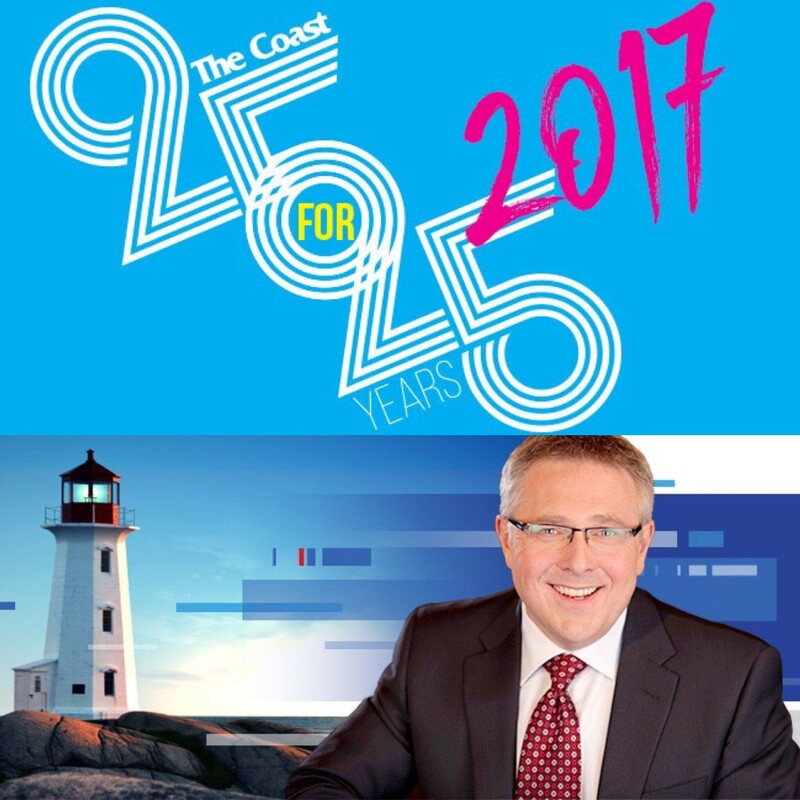 Looking back at 25 years of Halifax with special guest Steve Murphy. The end is here! The 25th episode for 25 years of our little podcast experiment. For one last time, we look back at the bars, bands, businesses, big news stories and Barrington Streets that defined Halifax. Who better to join us on that journey than the most trusted name in Atlantic Canadian journalism? Steve Murphy started hosting CTV's supper-hour newscast 25 years ago and he's with us in-studio to talk about the “recurrent themes” of the past quarter-century, why he doesn’t believe in “fake news” and whether or not he once took a helicopter to a family reunion. Also on this episode, we go over the highs and lows of 2017. It's the 100th anniversary of the Halifax Explosion and the debut of Cape Breton pizza on the mainland. The Proud Boys show up to defend Cornwallis, Lido Pimiento plays the Pop Explosion, the Convention Centre finally “opens” and Michelle Coffin tells her story. We've got street checks, Saltwires and Joel Plaskett trapped on Georges Island. What else could you want? Thank you to all of our guests over the past 25 episodes: Jay Ferguson, El Jones, Todd McCallum, Sharon Fraser, Mike Campbell, Chris Parsons, Jane Kansas, Glenn Walton, Mike Savage, Susan Dodd, Brian Titus, Emily Tipton, Stephen Kimber, Andrea Dorfman, Rick Conrad, John Simmons, Allison Saunders, Lia Rinaldo, Michael Karanicolas, Joyce Carter, Stephanie Domet, Delvina Bernard, Mary Vingoe, Phonse Jessome, Kirk Jonson, Condon MacLeod, Gloria McCluskey, Lezlie Lowe, Erica Butler, Jamie Bradley, Benita Ha, Brian Heighton, Jonathan Torrens, Lindell Smith, Kelsey Lane, Joel Plaskett, Matthieu Aikins, Tim Bousquet, Juanita Peters, Rich Aucoin, Stephanie Johns, Barry Boyce, Sean MacGillivray, Graham Steele, Selena Ross, Emily Davidson, Kate Leth, Cory Bowles, Tom Michael, Rebecca Thomas and the great Steve Murphy. Also thanks to the bands whose music we’ve featured on these episodes: jale, Rebecca West, the Inbreds, the Superfriendz, Thrush Hermit, Classified, Plumtree, The Hylozoists, Hopeful Monster, Wintersleep, Jill Barber, Dog Day, Jenn Grant, Joel Plaskett, Amelia Curran, Tanya Davis, Rich Aucoin, Jennah Barry, Ria Mae, Thrillah, Quiet Parade, Erin Costelo and Dance Movie. If you like the podcast, please feel free to give us a nice rating or leave a review. If you hate the podcast, want to correct something we got wrong or have comments about any events we forgot to mention you can email us at letters@thecoast.ca. Catch up on past episodes here. Looking back at 2018 with Allison Saunders and Stephanie Johns.